Why do racers choose BME? Cutting-edge technology, premium quality, bulletproof reliability and winning performance. Severe tests of competition engine parts are quintessential American motorsports: NASCAR racing and NHRA drag racing. For over a generation, Bill Miller Engineering Forged Aluminum Connecting Rods, Forged Aluminum Racing Pistons, Wrist Pins and Supercharger Parts have been winning races because they withstand those severe tests. A fixture in drag racing since 1975, BME's flagship product, the Forged Aluminum Connecting Rod, has won over 50 championships in drag racing classes for supercharged, nitromethane-fueled engines. The most recent of those 50+ blown-fuel titles was Del Worsham's 2015 NHRA Funny Car Championship. BME Forged Aluminum Racing Pistons have won nine NASCAR Championships, most recently, Daniel Suraez's 2016 Xfinity Series title, Erik Jones' 2015 Camping World Truck Championship and Tony Stewart's 2005 Sprint Cup. BME Pistons have won the Daytona 500 five times, most recently in 2010 with Jamie McMurray and, most famously, in 1998, with seven-time Champion, Dale Earnhardt Sr. BME Pistons are, also, successful internationally. KRE Racing Engines used them to win the most hotly contested sedan road racing series in the World, the Virgin Australia Supercars Championship, in five of the last seven years. BME Wrist Pins are a benchmark product in drag racing. 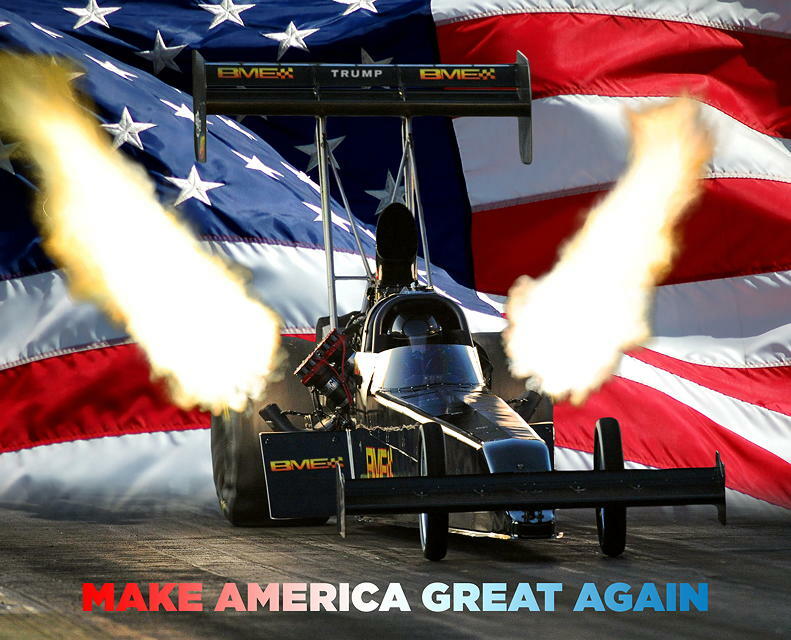 In the 2016 NHRA Mellow Yello Drag Racing Series, Top Fuel Champion, Antron Brown, and five other top 10 T/F cars along with all the top 10 Nitro Funny Cars used them. BME Pins have won Championships in both NHRA nitro classes for six straight years, 2011-2016. Bill Miller Engineering's newest race engine parts line is rotors and end frames for Superchargers. During 2016, in Top Fuel, Richie Crampton and the winningest T/F driver in history, Eight-Time NHRA Champion, Tony Schumacher, used BME Rotors. Nitro Funny Car drivers, Matt Hagen and "Fast" Jack Beckman, also, use them. BME parts are not only quick on the drag strip, they are some of the fastest on land. At Bonneville in 2016, Danny Thompson drove the "Challenger 2" to a AA/Fuel Streamliner Record at 406.769-mph using BME Rods, Pistons and Wrist Pins. Bill Miller Engineering is totally committed to racers. We do continuous research and development at tracks all over the World. The results of that are constantly being applied to our products. This continuous improvement keeps us ahead of our competitors and gives racers using BME products a winning advantage. At Pomona, Daytona, Englishtown, Indianapolis, Bristol, Talladega and other tracks all over the World victory comes with engine components made in the USA by Bill Miller Engineering of Carson City, Nevada. At BME, our mission is two-fold: 1) manufacture the best-performing, highest-quality competition engine components and 2) provide outstanding customer service. Gives us a call, today, and let's talk about how BME parts can make your race effort quicker, faster as well as more consistent, reliable and durable.